Customers can browse titles easily thanks to the 2-tiers design (which spin independently). 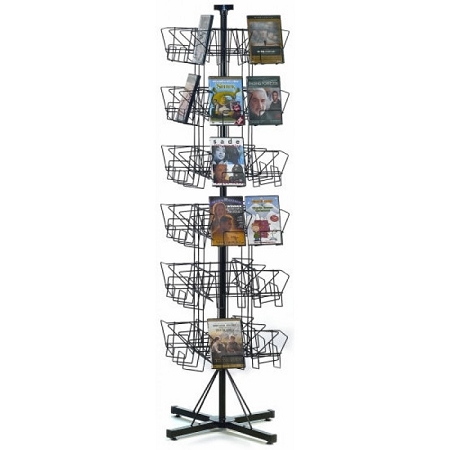 This rack takes up minimal floor space in your store. Pocket Size: 5-5/8"W x 9"H x 3" deep. Black powder-coat finish. Includes sign holder and adjustable floor glides. Dimensions: 65" H x 23" Spinning Diameter. Feature: Dimensions: 65" H x 23" Spinning Diameter.